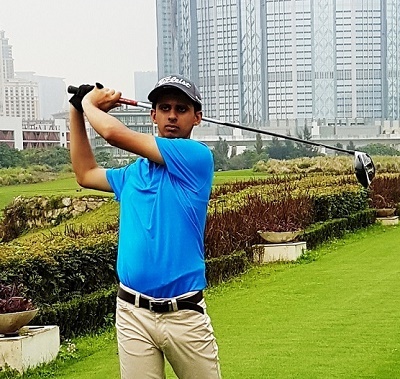 Ranveer Saini participated in the Special Olympics Golf Masters – 2017 tournament held from 16 April to 22 April 2017 at Macau. Over 100 golfers competed from across the world including USA, UK, Finland, Australia, South Korea, HongKong, Sweden, South Africa among others. He played 2 rounds of Golf in a 36 hole tournament at the highest Level of Special Olympics Golf ie Level 5 and had an outstanding performance with a gold medal. The tournament was played under tough weather conditions of rain and winds up to speed of 30 knots and wet greens. The tournament was at the Ceasers Golf Course Macau, one of the toughest Golf courses in the region and hosts professional tournaments. It is a par 71 course, with hazards, lakes, and OB on almost every hole. Ranveer dared it all and endured with patience and professionalism.